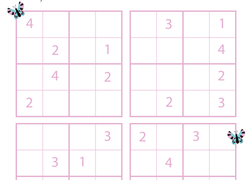 Complete this Sudoku puzzle with the help of a turtle friend! Third grade mathematicians will use their logical reasoning skills to solve Sudoku number puzzles. 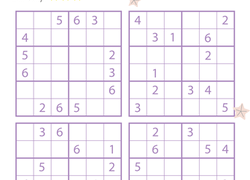 In the Starry Sudoku worksheet, kids solve four Sudoku puzzles. In each row, column, and block the numbers 1, 2, 3, and 4 must appear once and only once. 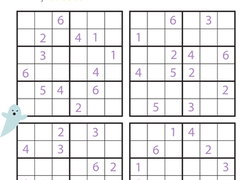 On this third grade kids sudoku printable, kids use their logical reasoning and critical thinking skills to solve four Sudoku number puzzles. 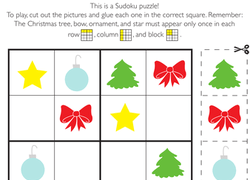 In this second grade math worksheet, kids use their logical reasoning and critical thinking skills to solve four Sudoku number puzzles. On this fun second grade math worksheet, kids use their logical reasoning and critical thinking skills to solve four Sudoku number puzzles. On this second grade math worksheet, kids use their logical reasoning and critical thinking skills to help the zebra solve four Sudoku number puzzles. On this second grade math worksheet, kids use their logical reasoning and critical thinking skills to help the squirrel solve four Sudoku number puzzles. On this second grade math worksheet, kids use their logical reasoning and critical thinking skills to help Bart the Bear solve four Sudoku number puzzles. 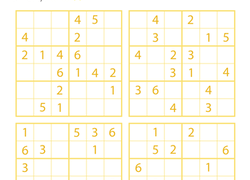 What makes this cheesy Sudoku puzzle so cheesy? The cheese, of course! 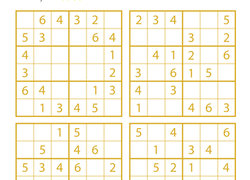 Solve this cheesy Sudoku puzzle using math and logic skills. 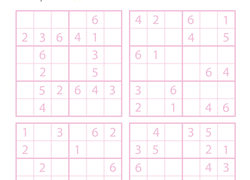 This pig Sudoku puzzle is a great logical reasoning and critical thinking exercise for your child. 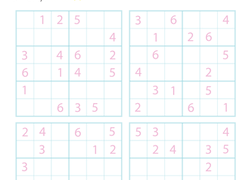 Try this pig Sudoku puzzle with your child. 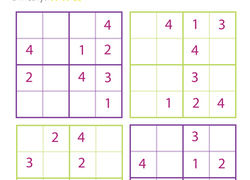 A giraffe Sudoku puzzle gets your child to find the missing numbers using math skills. Solve this giraffe Sudoku puzzle with your child. Calling all Sudoku and Ken Ken buffs! These math puzzles are tricky, but are a fun and simpler spin-off of the popular Ken Ken puzzle. 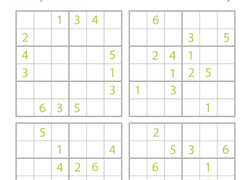 This spooky Sudoku puzzle is perfect for logical thinkers on Halloween. 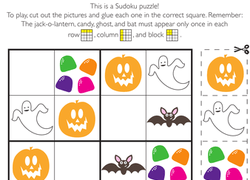 Solve this spooky Sudoku puzzle with your child. A lion Sudoku puzzle might be just what your animal lover needs to work on logical reasoning and critical thinking. 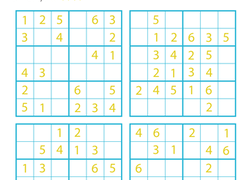 Try this lion Sudoku puzzle with your child. This octopus Sudoku puzzle lets your child fill in the missing numbers with the help of an underwater friend. Solve this octopus Sudoku puzzle with your child. Calling all Sudoku and Ken Ken buffs! 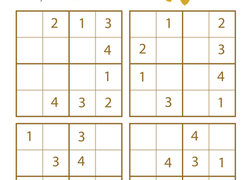 These math puzzles are tricky, but are a fun and simpler spin-off of the Ken Ken puzzle. 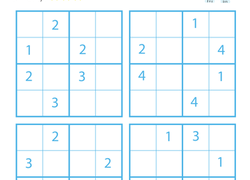 Kids who enjoy Ken Ken and Sudoku puzzles will like this amazing math puzzle. This firefly Sudoku puzzle gets your child to practice math skills with the help of a bright little insect. Try this firefly Sudoku puzzle with your child. 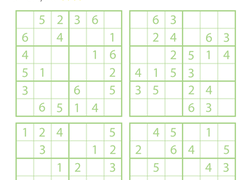 This sudoku puzzle is a perfect indoor activity for a chilly winter day. Calling all Sudoku and Ken Ken buffs! Give your student a fun way to practice math and problem solving with these fun puzzles.